Helalyn Flowers new release includes the Neikka RPM remix of their hit single "White Me In, Black Me Out"
"ABSOLUTE GRRRLS MANIFESTO [chapter 1]" 4CD BOXAlfa Matrix is set to release the first chapter of the "Absolute Grrrls Manifesto" compilation box series – the ultimate anthology of female fronted bands from the alternative / underground music scene and its various subgenres(gothic metal, new wave, industrial, pop rock, electro, synth pop, EBM, techno...).This 4CDs collection presents an unbelievable 111 (!!) bands in a deluxe carton box with an extensive 32-page bookletfeaturing the splendid design of Oliver Haecker (bastart-worx.de) with photos from all featured bands and an essay about the place of women in the music industry. 2011Dominique graces the cover of Matrix Revelations + an outrageous interview!!! 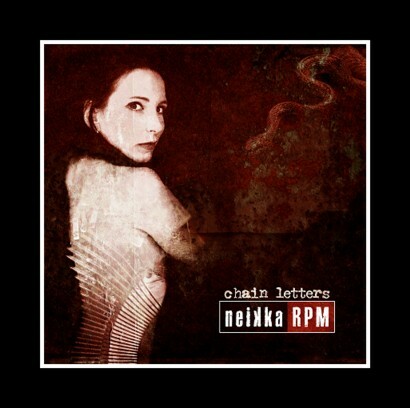 New Neikka RPM compilation Appearances! Electronic Body Matrix 4CD BoxNEIKKA RPM single, "Everlasting" is included on the compilations bonus download cardother featured artists on the compilation: FRONT 242, NITZER EBB (exclusive remix), NEON JUDGEMENT, PORTION CONTROL, COVENANT, COMBICHRIST, BRUDERSCHAFT feat. Ronan Harris (VNV NATION), SUICIDE COMMANDO (special mix), LEAETHER STRIP, ARMAGEDDON DILDOS, POUPPEE FABRIKK, X MARKS THE PEDWALK, and much more! Studio Matrix 1Includes the remixed NEIKKA RPM single "Warped" Studio X Hard Dance MixAlso features: NITZER EBB, LEAETHER STRIP and many more..
2010Neikka RPM's production team has recently landed a barrage of music in a host of TV shows (11 total!) in both the U.S. and in Australia! New Compilation Appearance - Neikka RPM's "Here's Your Revolution"
Asia Matrix Compilation release by Deathwatch AsiaSelected & mixed live in Osaka by DJ TAIKI (Black Veil - Japan’s #1 dark-scene DJ! ), ‘Asia-Matrix: Nonstop Mix By DJ Taiki’ is a DJ-mix of 32 hard-hitting club tracks from Alfa-Matrix artists. This non-stop mix sampler contains the perfect balance of classic cuts from the Alfa-Matrix back-catalogue plus all the very latest tracks: includes Neikka RPM's "Here's Your Revolution (Delobbo Remix)". Asia Matrix is the perfect audio guide to the very best sounds of Alfa Matrix! Remix ReleasedSeileen EP [Requiem D-moll] "Requiem D-moll" (Neikka RPM Remix)"Inviting you to a world of light and dark fantasy aesthetics appearing from the darkness...The long-awaited 2nd release from the Classical Dark Electro unit formed by countertenor vocalist Selia and DJ SiSeN! Includes 2 new songs and 8 remixes by artists from Japan and around the world!" Unter Null - Kinetic Festival (Artoffact Records)"Godless" (Neikka RPM Remix)Artoffact Records presents a 3CD compilation showcasing the superb talent featured at the 2010 edition of the Kinetik Festival which is set to light the fuse over Montreal May 12th through 17th this year. Top name artists include Combichrist, Leaether Strip, Fixmer / McCarthy (Nitzer Ebb), 16 Volt, Imperative Reaction, Covenant, Unter Null, Hocico, Decoded Feedback, Synapscape, Melotron, and Faderhead. Alien Vampires appears featuring contributions from Suicide Commando. Compilation includes the Neikka RPM remix of Unter Null's single "Godless". New Neikka RPM Interview Dominique chats with COVER UP! about music, the future and the secrets of Neikka RPM!The German based web-zine COVER UP! explores events and theories that fall in the realm of conspiracies. A fascinating zine to read! Endzeit BunkertracksHere comes the 5th [act] of what has become one of the most successful and "classic must-have" compilation concepts on the dark electronic scene! On February 26th 2010, Endzeit Bunkertracks 5 will be released as a deluxe 4CD carton box including an extended 16 page booklet for your visual pleasure. A new ultimate Endzeit experience of over 300 minutes of sonic extravaganza spread over 68 tracks on 4 discs. Neikka RPM's production team lands music in several U.S. TV show and an adult entertainment video. "When crafting this song, we hoped it would help listeners fill a deep dark place inside them...Little did we know it'd inspire them to peel off their pants and actually show everyone that deep dark place," says Dominique. From the Remix Desk: The latest Neikka RPM remix to hit the scene appears on the new release fromRed Industrie - Ciencia Ficcion (CD Advanced Synergy)Termodinamika Industrial" "Neikka RPM Remix"
Neikka RPM Ranks on Killer Start-UpsNeikka RPM has experienced sensational web activities (hits & visitors) recently and has earned a ranking by Killer Start-Ups“29,837 visits every month. This information, when compared to other sites on the web, makes this website be ranked 63,159 out of the top 1,000,000 websites. site is popular in several countries, especially in USA, where it´s most often visited.”- Killer Start-UpsNeikka RPM continues stocking its music catalog for TV/Film use & a long list of remix requests! Neikka RPM's lastest single, "WARPED" appears in the Febuary 09 issue Zillo, which is part of the German music magazine's famous compilation series New Sounds & Signals. V/A - "alfa matrix re:covered - a tribute to depeche mode" 2CD is the title of a brand new and massive DEPECHE MODE tribute compilation which will be released in May 2009.Neikka RPM covers Depeche Modes, "Boys Say Go"
Neikka RPM remix of "Stonecold" appears on Misery's lastest album release,"Obscurus and Lux"
Music produced by Neikka RPM has recently appearing in several U.S. TV programs!Over the past few months the New York duo's music has been used in NINE TV shows - on a variety of topics ranging from Sports, Lifestyles to Fashion/RunwayYou can also catch a clip of their music in the new reality series, "Matched In Manhattan"!New Neikka RPM single WARPED and new video EVERLASTING are included on the latest edition of Re:Connected 3.0 (Alfa-Matrix)This double-disc CD (plus a 19-clip video DVD!) compilation includes music from all of the artists on the Alfa-Matrix roster! The Crystalline Effect's latest EP release (Advoxya Records)features remixes by Neikka RPM, Implant, Negative Format and others! Neikka RPM's latest single, "Umbrae Sub Noctem" is currently on three different compilations! Advanced Electronics vol. 6 (No. 1 album on the German Alternative Charts wk 9)Advanced Electronics Vol. 6 - boxset includes music from Skinny Puppy, Nitzer Ebb, Funker Vogt, Ladytron and many othersThe 3 disc in the Advanced Electronics boxset is a DVD - includes Neikka RPM's debut music video! 'Endzeit Bunkertraks (Act III) 4CD box enters DAC charts at number 3! "eines Absolutes Mammutpaket"! - Sonic Seducer (German music magazine)No need for translation! The famed horror magazine FANGORIA has branched out into music!Neikka RPM's single, "Shackles of Steel" is a featured song on the FANGORIA MUSICK MySpace page! Dark Horizons Radio Fundraiser Event Mortal Decay 2 disc compilation includes the Neikka RPM single, "Shackles of Steel"
Dominique chats with GearWire about her Tr-909 and Juno 106 and how vintage gear plays apart of Neikka RPM's sound and soul.